We Buy Houses in Barstow, CA Without Stress or Hassle - Guaranteed! Here’s How our Process Works. Contact us Today for a FREE, No-Obligation Cash Offer for Your Home in Barstow, CA. If you have a home that you need to need to sell quickly, you may be at a loss as to which way to turn. Regardless of your reasons for selling your Barstow home, you can depend on SoCal Home Buyers to give you quick, professional service. We buy houses in San Bernardino county area. If you have a property in Barstow that you’re eager to sell, we’d love to speak with you about buying it. We are a local, family owned company in So Cal and have been purchasing real estate for over 10 years. We’ve purchased property in all conditions, under a wide variety of scenarios. We’ve got the cash, and we’re willing to see your home for its potential. 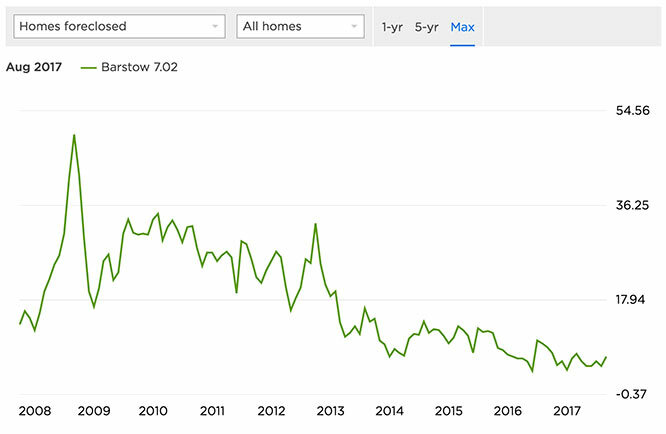 Barstow home values fell significantly in the collapse. While the home value averages were already modest, they dropped even further. The former high sat at over $180,000, taking a sharp plunge down to a meager $80,000 at the height of the real estate collapse. Current estimated value averages typically sit around $125,000, a far cry from where they were previously. Growth is happening, but it’s very slow. Small percentages over longer periods of time mean that it could take decades for home values to reach their previous highs, and many homeowners will find that it’s not worth holding their breaths. Zillow is currently estimating these values will rise by a meager 5% in the upcoming year. Barstow’s market is barely stable. Buyers have a significant advantage, because there aren’t very many of them. 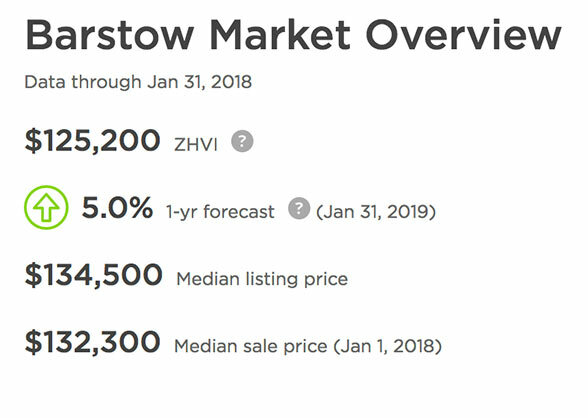 This leads 10.4% of Barstow homeowners to sell at a price cut, which is especially painful when the values of their properties have already sunk so low. The foreclosure epidemic in Barstow is troubling. Nationally, one in every 5,000 homes will see a foreclosure. In Barstow, 3.5 in every 5,000 will meet that fate. Not only is foreclosure triple the national average, so is negative equity. While most areas of Southern California have dealt with and moved past negative equity situation, Barstow is still disproportionately affected. 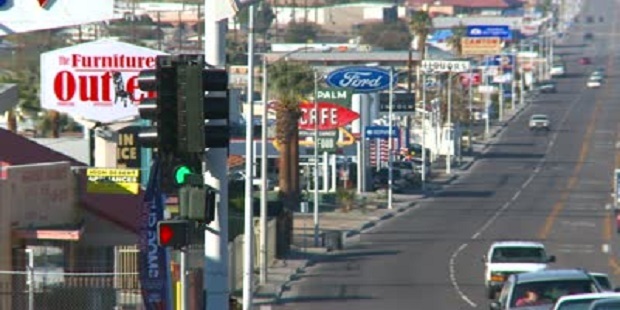 If you’re a distressed homeowner in Barstow, you still have options. If you’re in a negative equity situation, your lender will likely allow you to arrange a short sale. They’re likely looking to dissolve the rest of their negative equity home loans. The same goes for foreclosure, which is an expensive process for lenders to pursue. If you’re in foreclosure, you can sell your house up until the day the foreclosure auction is scheduled to take place. How Can Our Company Help With the Sale of Your Barstow House? We’re interested in purchasing more than just single and multi-family properties. We also purchase mobile homes, commercial properties, condos and manufactured homes. There isn’t much we aren’t willing to buy. A house is a house as far as we’re concerned. Give us a call today at 951-331-3844 if you have an unconventional property. We’re more than likely willing to buy it. It doesn’t matter if your house is new or old. Whether your property needs a lot of work or is in perfect condition, we’re still looking to buy. We purchase properties “as-is”, and even if the house is in need of extensive repairs, we won’t put be put off. We’ll never ask you to spend any of your own money fixing up the property – we’ve already planned to do it all ourselves. We aren’t an individual or a family looking to make a conventional offer on a property that’s move-in ready. We are seasoned professionals in real estate investment, and we buy without red tape. 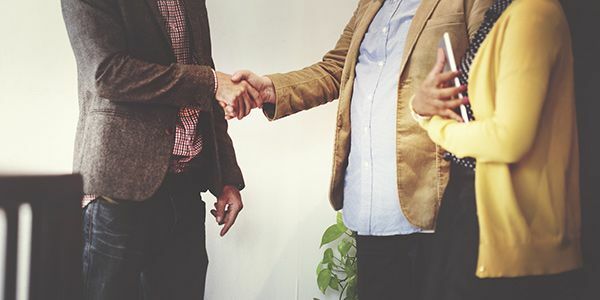 There’s never any commissions or fees to pay, and we know how to make the process go quickly, smoothly, and painlessly. If you’re looking to avoid the hang-ups of the market, we’re the kind of buyer you need. Are you pressed for time? Are you having trouble finding a buyer using the traditional route? You have nothing to worry about when you work with us. We’re proud to have created a sale process that eliminates all of the stress from the property owner. You contact us, you get an offer, you accept that offer, and everything else is smooth sailing. We want to do things the easy way, and we know most homeowners want the exact same thing. Some people sell houses because they’re so damaged that they just don’t want to deal with them anymore. Other homeowners are facing foreclosure, or looking to get out of a negative equity situation. We’re prepared to help you handle things like short sales, or unwanted rental properties you own. We’ve seen it all, and we already have strategies to help the process move along smoothly. We can buy your house in a week or less. In fact, we’d prefer to move that quickly. Some homeowners in urgent situations need to sell much faster, and we may be able to accommodate those requests. If you still need a little more time to move, we’re patient. We’re willing to work with your personal timeframe. We want to be your ideal solution for a quick and painless transaction. We have helped hundreds of individuals and families make the sale of their house painless. We’re proud of the wonderful testimonials we’ve received. When you work with us, we guarantee your satisfaction from beginning to end. All you need to do is call us, or fill out the short form on this page to see what we can offer you for your house. Like our offer? Consider your property sold! Some national property investment companies purchase properties all over the place. You’ll never get to meet these people face to face, and they want to deal over the phone. Not us. We’re in Murrieta, and we’d love to meet with you face to face to discuss the sale of your houses. We’re about an hour and 45 minutes away from Barstow, via I-15 S and I-215 S. We can travel anywhere in the Southern California area, whenever you need us. 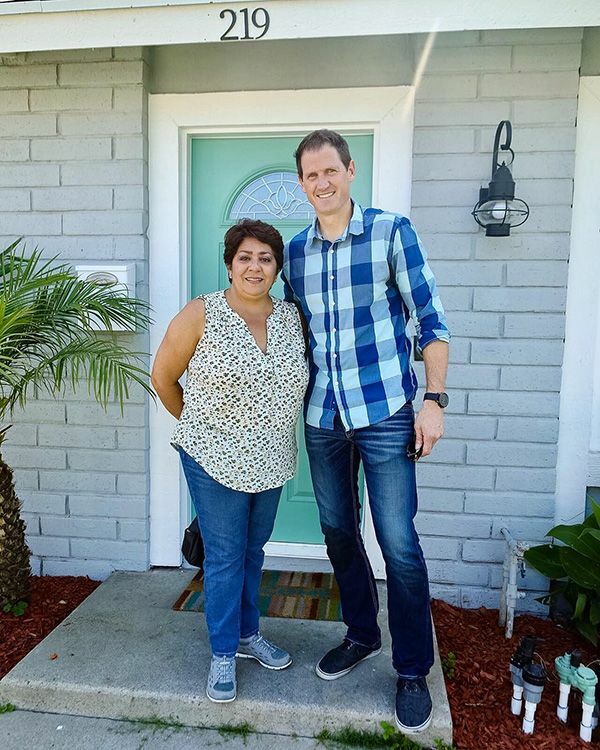 If you would like to sell your Barstow house in a fast and reliable way, let Southern California Home Buyers be your first choice Our friendly and knowledgeable staff are here to answer your questions and help you out – even if you’re having a hard time with your property. Give us a call today at 951-331-3844 and see what we can do for you!